Was able to get 1506/4000 stable at 1.2 v as far as I can tell. Tested it with various 3D benchmarks then customized my rom to 'Bake-in' 1506 as the default TDP Boost clock entry. Unfortunately for some reason while gaming it Boosted down to 1341! If anyone knows why please comment. 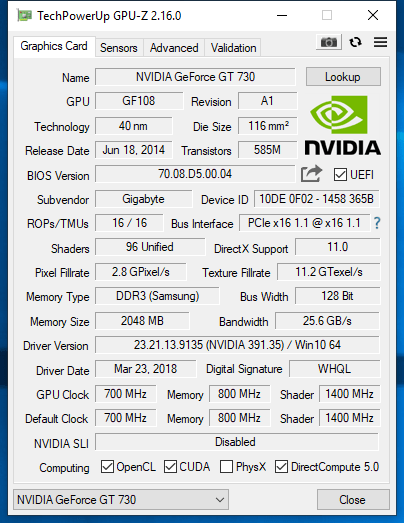 Attached my mod rom for anyone to take a peak at..
Can you undervolt msi gtx960 gaming 2g, or unlock +0 Core Voltage for -0... for being able to undervolt the gpu? In MSI Afterburner you cannot do that, but + increments with mV. Last edited by sorance2000; 02-14-2019 at 09:38 AM. Not sure if it will work the way you want as I've never tried undervolting Maxwell. Not sure if Afterburner will go in reverse with voltage control or not but you could open up your firmware in Maxwell Bios Tool and adjust the voltage table directly nudging down the voltage like 10-25 mv for each boost state or just set a constant voltage for each boost state over a certain frequency. Of course this could be risky and introduce instability which is why I would recommend you just cap your voltage levels on the high end of the table only. This is a Quadro k4200 gk104 bios. its basically the same as a gtx 670 but clocked down and more ram. Is there a way to unlock overclocking or just do the voltage/tdp mods? this is a gtx 670 bios, could you mode voltage/tdp and increase the max fan curve to 100%. Thanks! That's a Fermi based card and none of my programs can edit that BIOS.